We have just set a new record for the time it takes to turnaround a business finance enquiry. 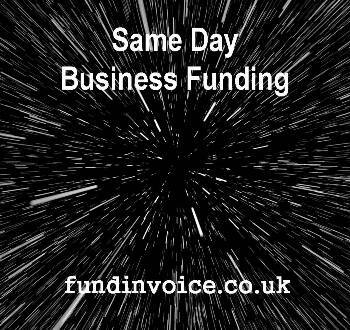 We arranged same day business funding for a client, with approximately 7 hours between enquiry and them receiving cash from the finance company. That's a new record turnaround for us! We were contacted in the morning by a car crash repairs coachworks business that were looking to receive invoice finance against their invoices, in order to release some cash for immediate use. We introduced them to a specialist funder that works with crash repairers, funding invoices to car insurance companies, in respect of car repairs caused by accidents. The client submitted their first batch of claim related invoices, to the finance company, that day and funding had been transferred to the client by the end of the day. That is a deal that we have been able to turnaround, from enquiry to payment, in a single day - they received cash against their invoices on the same day that they contacted us. If you need some help raising money quickly, we can help. Please call Sean on 03330 113622 and he will help you find the finance you need, at a speed that suits you. More information about: Funding car crash repair invoices to insurers.